We are featured in The Essential Oyster! 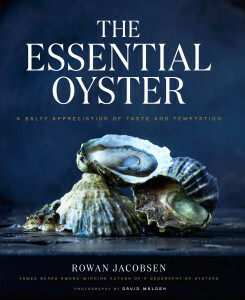 We received our copy of The Essential Oyster and our oysters were featured!! Page 16 has a full picture of Aaron Friend in the Algae Room, Page 19 has Nick and Marion, Pages 30-31 are our Olympia oysters, and Pages 34-35 are our European Flats. You can order a copy here.